The Republican Tax Plan | How to Save on Taxes. The Republican tax plan signed into law recently has drawn plenty of criticism from both sides of the aisle. Skeptics have voiced concerns that the plan favors big corporations and the wealthy, and will exacerbate income inequality. Despite these concerns, however, the future for a middle-class individual filing taxes in 2018 does not have to be bleak. Every piece of tax legislation is composed of a system of sticks and carrots. In other words, the law seeks to encourage some behaviors while discouraging others.By taking advantage of some key features in the Republican tax plan, you can potentially enjoy some significant savings in the coming years. Ready to learn more about how to increase your take-home pay? Here is what you need to know. The source of your tax refund in April is the deductions you are able to claim on your taxes. Throughout the year, your employer takes out taxes based on your entire income. At the end of the year, you are able to deduct some of your earnings and receive a refund on the taxes you already paid. When filing, you have the option to either take what is called the standard deduction or to itemize your deductions. In 2017, the standard deduction is around $6,000 for individual filers and $12,000 for married couples. One might decide not to take the standard deduction if they believed they could deduct more income by itemizing. For instance, filers can deduct charitable contributions, mortgage interest, out of pocket health expenses, business-related expenses, and other things. 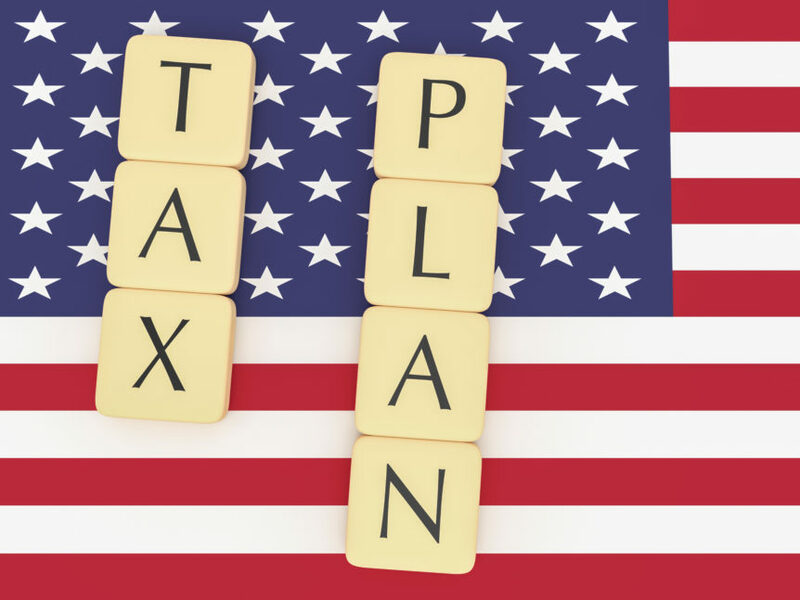 So, if your previous tax strategy was to maximize your deductions and itemize, you may want to reexamine that tactic. While it is obviously still noble to donate to charity, it will not pay off in the same way at tax time unless you make a significantly larger contribution. In previous years, individuals living in states with high taxes were able to deduct all of their state income tax from their federal taxable income. Under the new bill, individuals will be limited to deducting $10,000 in state taxes. So, for individuals in high-tax states like California, New York, and New Jersey, they may see a tax increase. That said, there are several states in the union with no income tax, including New Hampshire, Washington, and Florida. If you’d been considering a move to one of those states, now might be the time to do so. Some of the clearest incentives in the new tax plan come in the form of benefits for families. Depending on how your family grows or changes in 2018, you may see a benefit. As we mentioned above, the new plan doubles the standard deduction for married couples to a whopping $24,000. So, while a tax benefit alone may not be a great reason to get married, this benefit should be a consideration for unmarried couples who already live together and share expenses. This benefit can be especially helpful for couples where one partner is the main breadwinner. For example, one partner may be a full-time student or a stay-at-home parent, while the other works full-time. Deducting $24,000 from that single income could result in significant savings. The new tax bill also raised the child tax credit that parents can claim on their taxes. This is especially beneficial because it is a tax credit, rather than a deduction, so you can claim it even if you take the standard deduction. Additionally, if you have children in the next two years, you could see some extra benefits from your employer. That’s because the Republican plan offers a tax incentive to businesses providing paid family leave. Keep in mind that this incentive expires after 2019, and is only available to businesses that do not already offer paid family leave. Under current law, parents can open tax-free 529 accounts to save for their children’s college education. Under the new plan, you will be able to use up to $10,000 of that savings to pay for a child’s private school education in a K-12 institution. Depending on how you earn your income, you may be able to take advantage of some creative accounting by turning yourself into what is called a “pass-through” business. Here’s how that works. A pass-through business is the most common type of business in this country. For a corporation, the profits are taxed for the company and taxed again when passed on to shareholders. For a pass-through business, the money is only taxed once because it goes directly to the business owner. Many consultants and freelance workers operate under this model. As the sole employee, they become the entire business. Under the new tax bill, pass-through businesses would be able to earn up to $157,000 and only be taxed 21%. This means that individuals could stand to make significantly more money by working for themselves as a freelancer than by working for an employer in a salaried position. Of course, freelancing comes with other challenges. Freelancers have to find their own work, and they are responsible for taking care of their own health insurance. That said, under the Republican tax plan, there is no longer any penalty for not having health insurance. This may incentivize some freelancers to take a risk and forgo insurance. Ultimately, that choice is up to you. By understanding these aspects of the Republican tax plan, you can save big on your taxes in 2018. That said, if you’re looking to maximize your refund for 2017, we can help with that too. Contact us today to schedule your tax planning strategy session today.